Nov. 5, 2012 2:00 p.m. The old North Saanich Middle School was demolished this past summer. The land is now up for sale. 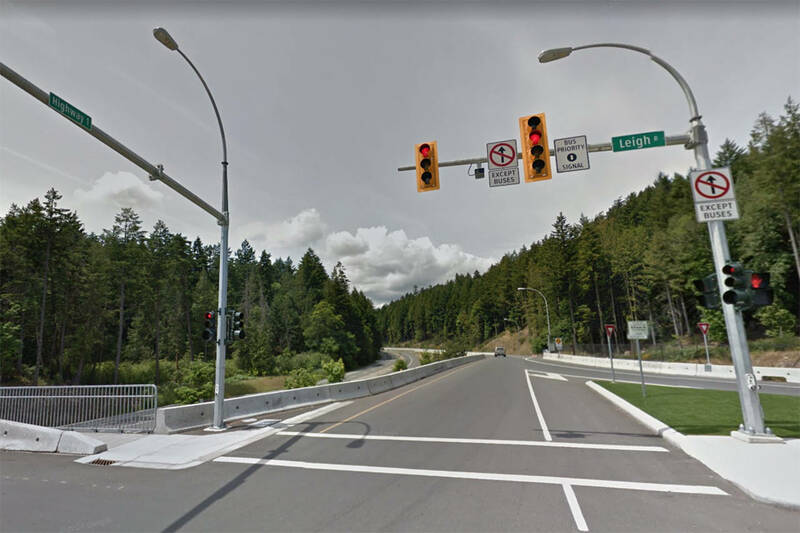 School District 63 wants at least $5.9 million for the site of the former North Saanich Middle School at the corner of McDonald Park Road and Resthaven Drive. That’s the price tag attached in a draft report on the 4.5 acre site where the old school is currently being demolished. The school was replaced with a new one just across the street. In a presentation to the council of the Town of Sidney on Oct. 29, School District 63 facilities director Kim Milburn outlined plans to turn the area into multi-family residential units — as many as 81 of them — through a request for proposals (RFP) process. “We are seeking to sell the site to offset some of the new school costs,” he said, adding the sale of the land has been approved by B.C.’s education ministry. The district has been working with town staff and have come up with plans based on the town’s official comunity and strategic plans. Milburn said there’s potential for 81 units in a variety of configurations, including some attainable housing with prices based on a family median income of $65,000. Much of this, he admitted, will depend on what developers propose to the district in the RFP. Advertising of the RFP process to the development community will come out over the next few days, said Milburn, adding there will be further consultation with the town and nearby residents as the plans take shape. He said the school district hopes to make a choice on the purchaser by the end of this year. Milburn compared this process to a similar one the district had in Saanich in 2008 for their former Royal Oak Middle School site. “This is long overdue for this site,” said councillor Tim Chad. The town voted unanimously to support the school district’s draft plan. Milburn said once the district selects a developer of the property, that new owner would be working with the town on the fine details, which would include a rezoning of the land.